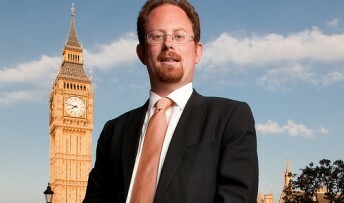 Prime Minister David Cameron has backed the call from Cambridge MP, Julian Huppert to Get Britain Cycling. Mr Cameron said he hoped local authorities would do more to encourage cycling after a report, led by Julian, called on the government to lead a drive for 10 per cent of all journeys in Britain to be by bike by 2025. Julian said during Prime Minister’s Question Time in the House of Commons today (Wednesday, April 24): “Today sees the publication of the APPG report, Get Britain Cycling which calls for leadership from the top on this issue. Mr Cameron said that Julian was “absolutely right and the House should heed what he says. “We should be doing much more in our country to encourage cycling. I think this report has many good points in it. Julian said later: “This report draws together all the evidence from the experts to tell us what we need to do to encourage cycling in this country; but it is up to the government to take it forward. From the Prime Minister’s response, it sounds like he just doesn’t get it. HE needs to take the lead and get a grip on the issue and not just sit by and not just `hope’ authorities take on board your excellent recommendations. I hope this isn’t another delaying tactic by the PM, but fear in 10 years little will have improved.